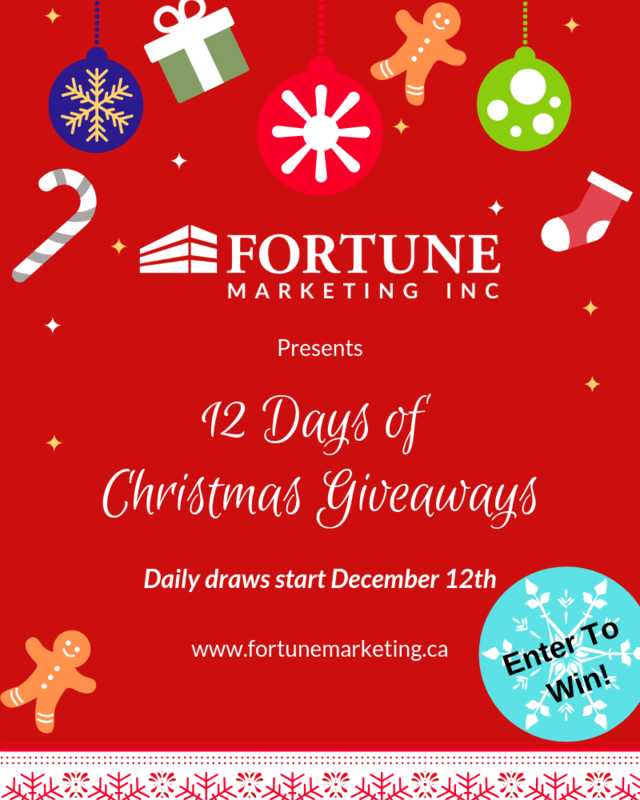 You will be entered to win 12 days of giveaways, prizes include gift vouchers and goodies from local businesses. Continue reading for full contest details – Goodluck! Contest open to residents of Kelowna, BC or anyone who is able to pick up the prizes from Fortune Marketing at 305 Lawrence Ave, Kelowna, BC. Must be 18 years of age or older to be eligible to win prizes. Contest closes December 24, 2018, with one winner announced daily from December 12, 2018. The winners will be randomly chosen at the discretion of Fortune Marketing Inc. No purchase or payment necessary to enter. The contest is subject to all federal, provincial and local laws and regulations and is void where prohibited by law.